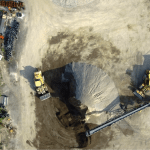 What to Expect from an Aerial Survey | Canadian UAV Solutions Inc. What to Expect from an Aerial Survey | Canadian UAV Solutions Inc. There are lots of different ways to get a different perspective on things. Sometimes, you need quite literally a different perspective! Looking at buildings or landmarks from the ground can give you measurements that you can use in terms of surveys, but aerial surveys give you the different perspective that you’ve sorely been lacking thus far. If you are interested in aerial surveys as a way to assist your business, there are certain things to expect. First, you can expect to have a timelier survey. UAV drones take measurements faster and with a higher level of density than many other forms of land surveying. With the mapping and surveying technology available, you can get a concise view of the area quickly. Especially in large parcels of land, you can expect your timeline to be days, possibly weeks, shorter. Second, you can expect to get accurate readings not just of the lands, but also of the outbuildings, developments or other features of the property from the safety of above. Instead of many different surveys from land, you can get complete readings from above. Finally, you can expect a convenience of aerial surveying that would be difficult to find elsewhere. Aerial equipment is transportable, allowing the machinery to come directly to the job site, no matter its location or shape of the land. Furthermore, the results can be available much sooner and with great accuracy. 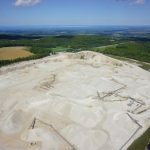 For the best in aerial surveys, contact our team here at Canadian UAV Solutions Inc. We would love to help you get the most from your expectations in terms of aerial surveys.